Go was a fanzine about Sheffield, a love-letter to the city we knew. It aimed to talk about the things that made Sheffield special – the brutalist buildings, the empty factories, the terraced houses, the hills and the soul – and critique the cheap-and-cheerful regeneration of the city that was then just about to begin. It also acted as a space to generate new ideas for the city’s future. 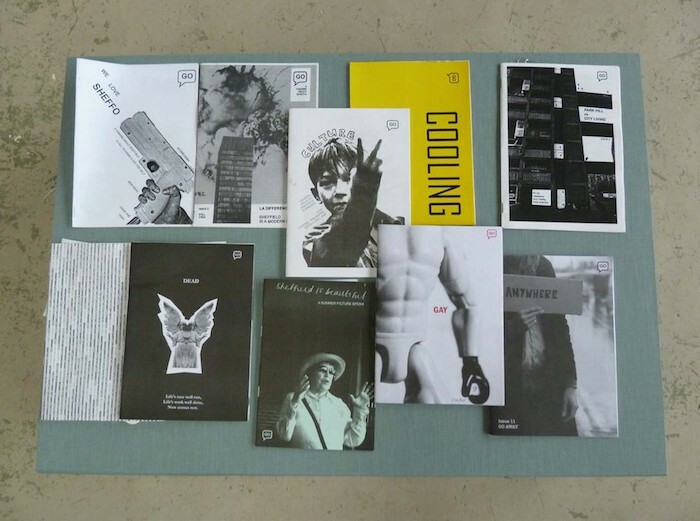 Over 11 issues, the fanzine covered everything from the pros and cons of Sheffield’s modernist heritage, to being gay in the city, to how to reuse the dead factories, and whether Sheffield was built to withstand the end of the world (conclusion: yes). Go was featured across the national press, in a Radio 4 documentary, and is now part of the permanent collection of both the V&A and the Princeton University Architecture Library. I'll get some PDFs up soon, promise.